Source control can be daunting but it is pretty important for sharing with others and backing up to prevent data loss. Sharing projects during game jams are a lot easier to do with source control. We will cover installing git on a windows environment, using online repositories (repos) and getting a Unity game setup with git. Following the instructions, it will setup defaults and access to git from the command line. This is the usual way to use git, but we will cover visual editors for commiting and pushing to remote repos. Once the install is done, you should be able to open the command line or powershell and type in git --version and get something like git version 2.19.0.windows.1. There is a lot of documentation so if you plan on using the command line, read up. Visual Editors for git makes source control a lot easier. You may need to revert to the command line every once in a while to fix things, but for the most part visual GUIs work well. Our example editor for walking through using git. It has a lot of features is usually fast. The free version limits you to one account email and name versus the pro version. Profiles are handy so you can commit with your personal or work email. It has a yearly subscription for the pro features, so keep that in mind if you plan on using it professionally. 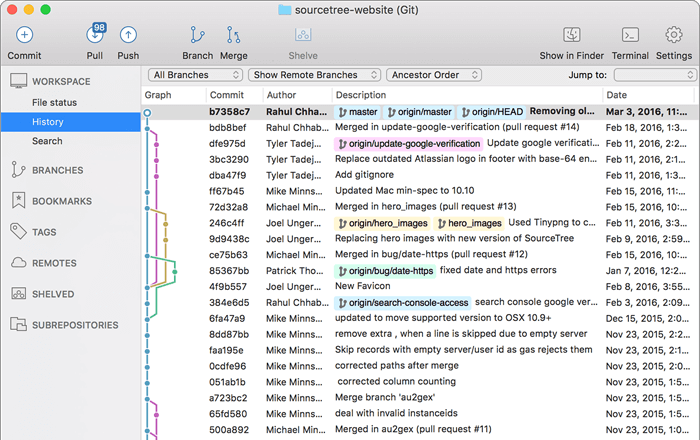 SourceTree handles git projects well and is free. Also by Atlassian, it integrates well with BitBucket. It has had issues with large git projects in the past. Sublime Merge is new as of October 2018 and is very good. It’s free to try and then a flat $99 for a perpetual license. One downside is it only shows changed files in a flat list at the moment, so be careful when changing to many files in one go. 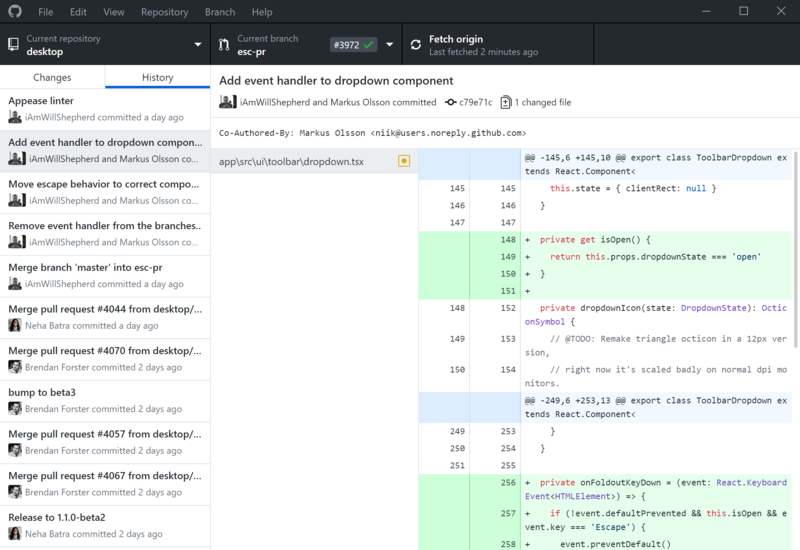 Now you should have an empty git repo online. Grab the git url. For example, is https://github.com/judah4/unity-game-project2.git. On the left of Gitkraken, there is a remote list. Press the + and add the new Github remote. There are multiple ways to do all these things and with projects using other engines like Unreal. Hopefully this helps you understand a bit how to save your projects with git and pushing to github.